The Abramson Singers represented East Van as a quartet this evening. From her stable of frequent collaborators, principal songwriter Leah Abramson was supported by renowned drummer Dan Gaucher (Fond of Tigers, October Trio), jovial upright/electric bassist Patrick Metzger and Tim Tweedale on lap steel (who both played with Headwater and Elena Yeung). Metzger seemed particularly stoked on life, as he claimed to be the group's hypeman, for which Abramson quickly apologized. If they weren't a consistent unit, you wouldn't have guessed, as they comfortably yet dynamically performed Abramson's country-tinged style of folk noir and "power waltzes" (as they called them). Abramson has the perfect voice to suit her contemplative music, uplifting with a hint of melancholy and an occasional lilt that, thankfully, is not overplayed. It all came together for their upcoming album's "Marguerite," a particularly stirring song based on a conversation Métis martyr Louis Riel had with his wife before he left Montana to return to the rebellion. 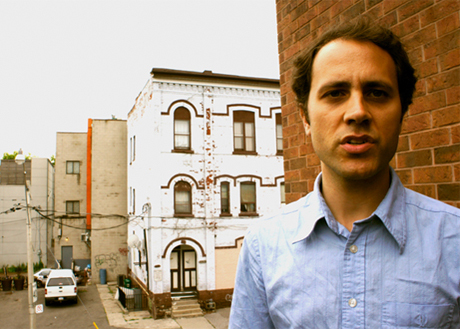 Gaucher returned with a synthesizer player to join Sandro Perri, as the Toronto songwriter ran through most of his Polaris-nominated Impossible Spaces. Leading off with the subtly brooding title track from his latest and greatest Constellation record, complete with its bird chirping samples, Perri formed an instant rapport with the modest but supportive crowd. Noticing one patron wearing a retro '70s CBC logo shirt, he claimed before playing "Love & Light" that the song was commissioned by the crown corporation. He also humorously noted that "Changes" was equally influenced by David Bowie and Black Sabbath. Overall, Perri was perhaps not the most dynamic performer, but his humble shuffling and wry self-deprecating style suited his summer-breezy, sad yet sweet, introspective yet soul-baring music to a tee. Though his sound is almost unbelievable, like James Taylor if he went prog, Perri's forthcoming nature made the experience seem honest. Perri went on to, as he phrased it, push the envelope for thanking people, much like Abramson, who had given a heartfelt thanks to the sound crew and anyone else who could hear. Though stylistically different, they complemented each other wonderfully.